Los 3 Reyes Bakery, at the center of a controversy over paint color choice in Faribault. MARIANO PEREZ, owner of Los 3 Reyes Bakery in historic downtown Faribault likes the bright green color of his bakery. 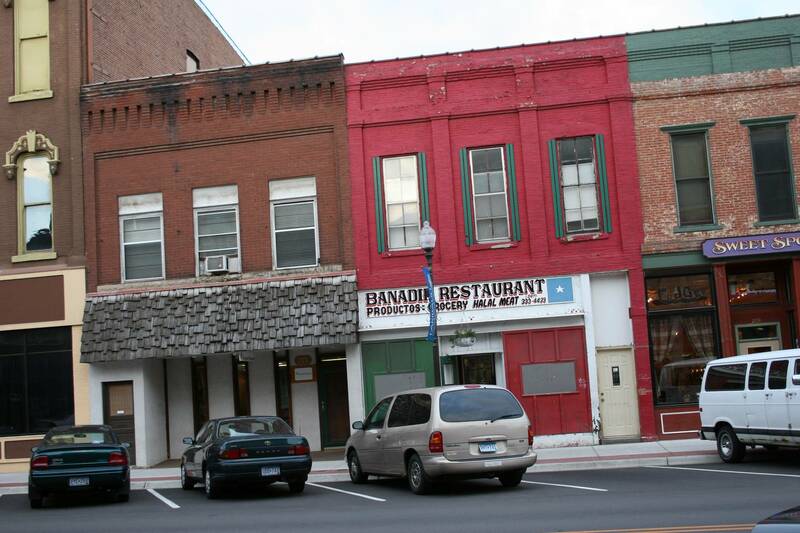 But not everyone in Faribault appreciates the vivid storefront in the 400 block of Central Avenue, an area of primarily neutral brick buildings. 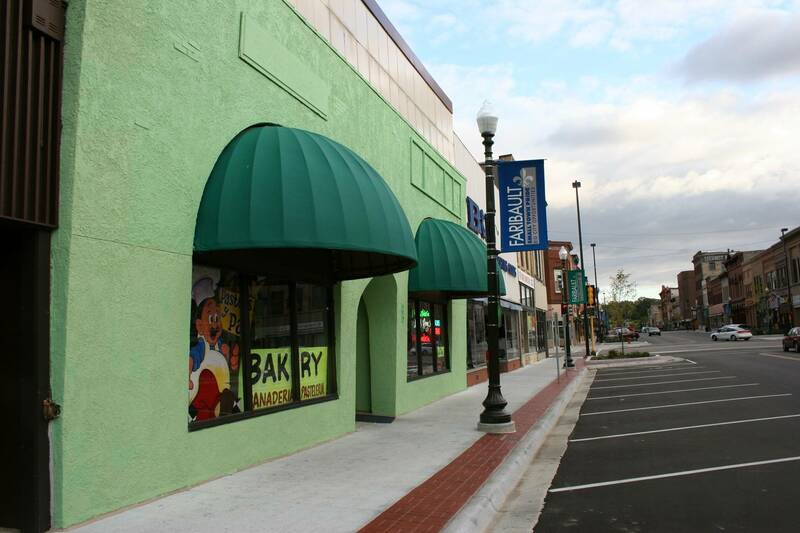 Perez was approached about repainting the bakery a more subdued green after some business owners took issue with the color, according to a report in The Faribault Daily News. Businesses even donated monies for repainting when Perez indicated he could not afford to redo the recently-painted bakery. The entire situation has created quite a stir in the community based on comments made on The Daily News website. And rightfully so. Why should Perez have to repaint the building? He’s breaking no laws, ordinances or historic district guidelines. Rather, here is a man who simply wanted to improve the building he rents and did so by choosing a paint color common to his culture. So what if it doesn’t resemble every other building in the block or downtown? Numerous people have stopped at his business, encouraging him to keep the “very nice color,” Perez says. I agree. He should keep the “happy color” that reflects his culture, and his demeanor. He’s done nothing wrong. Perez is living the American dream by running his business in a free country. 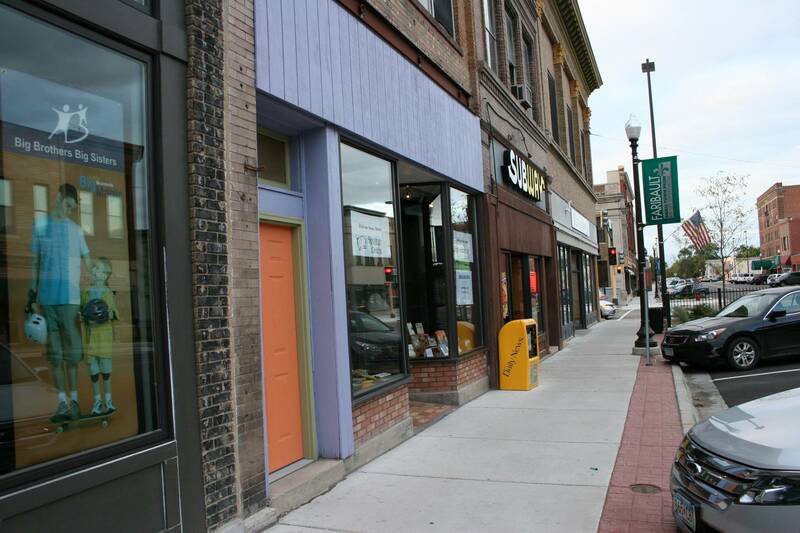 He’s bringing business to downtown Faribault. He’s also meeting a need in the community. That said, I admire Perez’ positive attitude and genuinely sincere and cooperative spirit. I doubt I could be as gracious. I expect that had this been anyone else, lawyers would already be engaged in the issue. Half a block from the bakery, Books on Central sports new coats of purple and orange paint. Will this building be next on those pegged for a paint make-over? In the 200 block of Central Avenue, Banadir Restaurant offers a colorful storefront to those patronizing the Somali business. Will this be the next target? 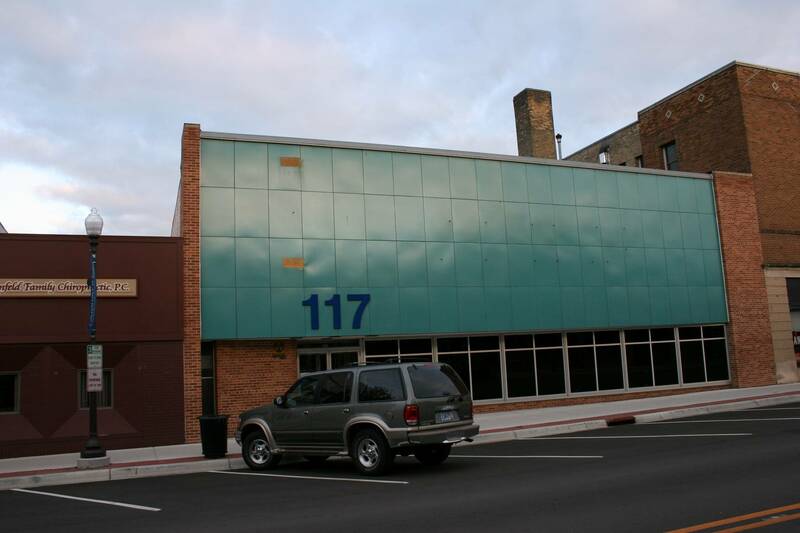 I've never known what business occupies 117 Central Avenue, but the color choice certainly makes it stand out from other buildings. Should this get a face lift too? 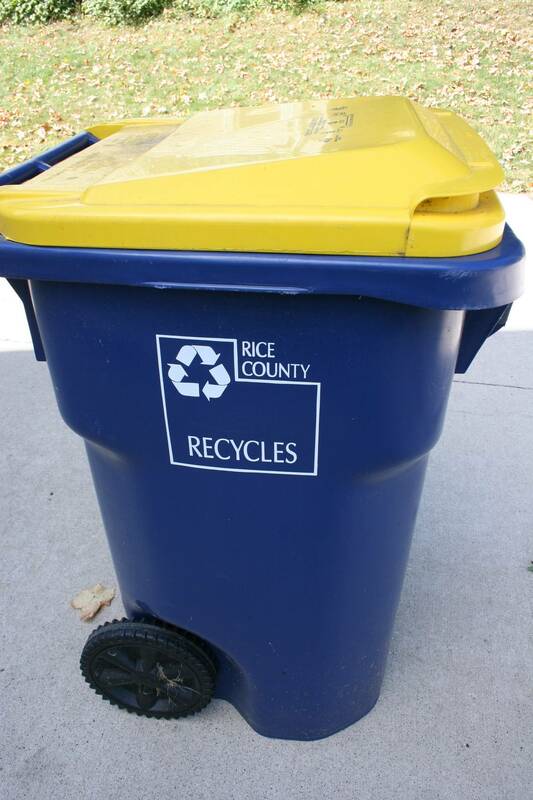 Personally, I can't stand the color of these government-mandated recycling bins, which clutter the Faribault landscape. I also don't like the blue color the city paints bridge railings. And once my neighbor painted her house a hideous bright blue. I have nothing against blue, but this simply illustrates that everyone prefers different colors. 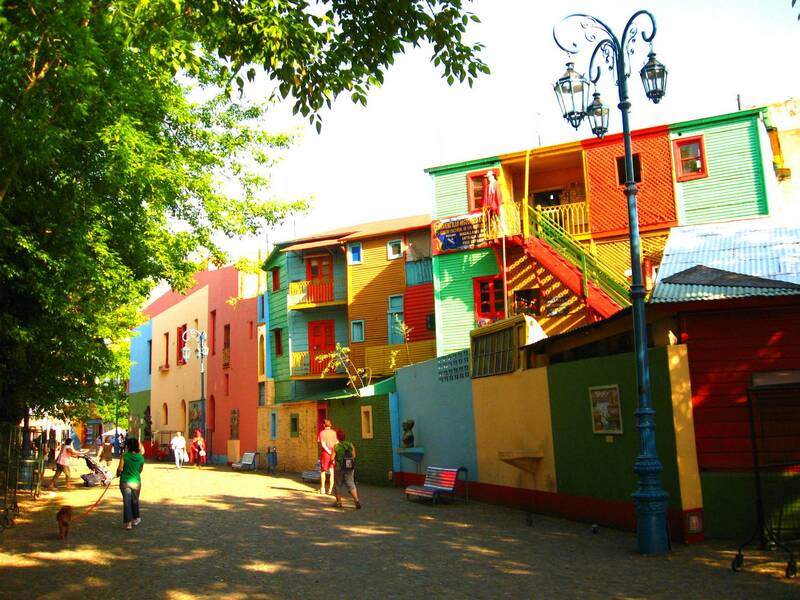 You'll find brightly-colored buildings in the La Boca neighborhood of Buenos Aires, Argentina. Although primarily a tourist destination today, the area is surrounded by houses with painted sheet walls of varying colors. Photo by Miranda Helbling. 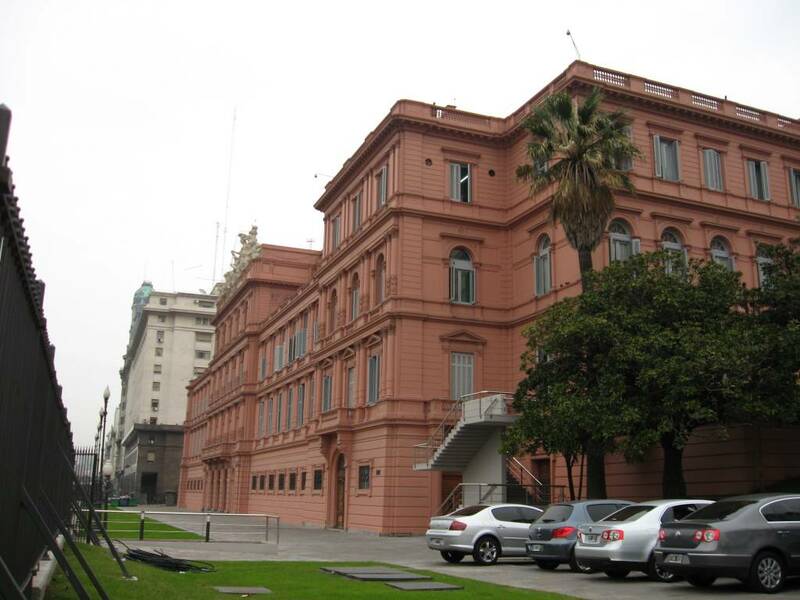 Argentina's presidential palace is painted pink. This is the back of La Casa Rosada in a photo taken by Miranda Helbling. Different cultures, different colors. So what do you think? 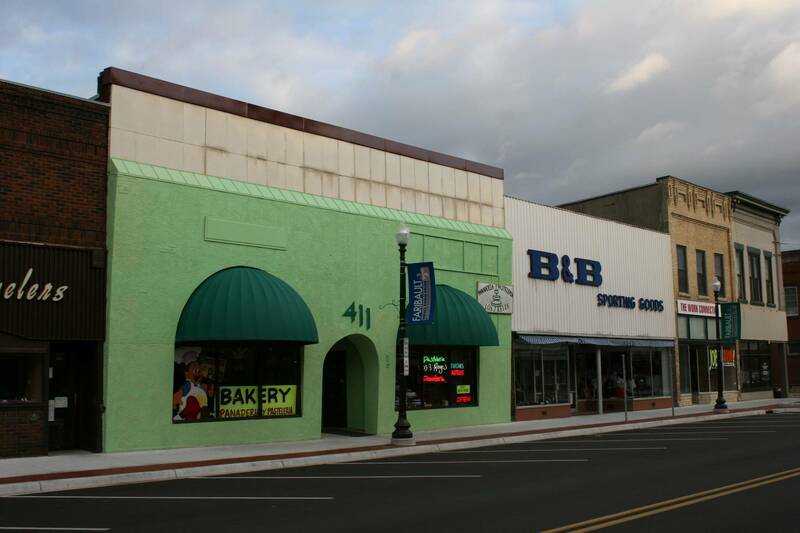 Should Mariano Perez repaint his bakery a subtler green or leave the color he chose? A native willow chair welcomes Meander visitors to Stony Run Woods near Granite Falls, the studio of Dale and Jo Pederson. Photo by Pam Nedrud. 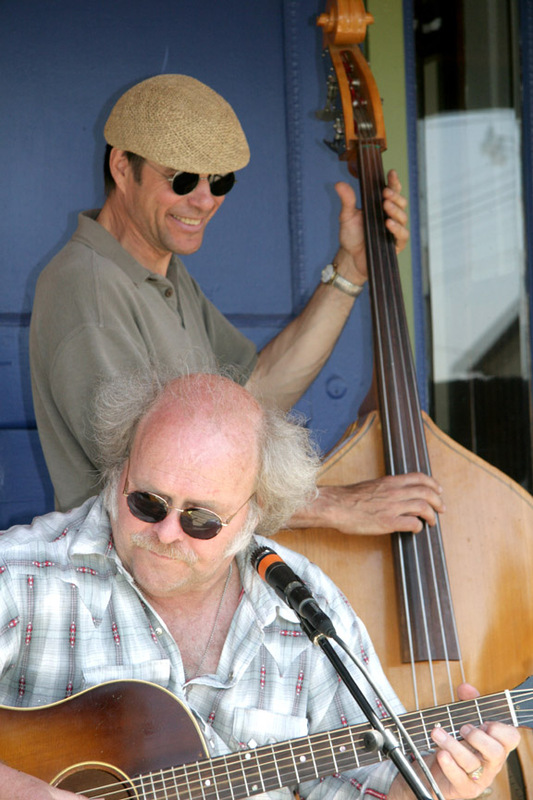 Jerry Ostensoe and Richard Handeen are among musicians performing Friday evening at the Old Milan School Building in Milan. Photo by Kristi Link Fernholz. IF YOU’VE NEVER explored western Minnesota, this coming weekend would be the ideal time to pack up the car and head west. Or if you’re from the region, Oct. 2 – 4 offers an opportunity to explore your backyard. The area is showcasing the works of about 50 artists during the annual Meander Upper Minnesota River Art Crawl. 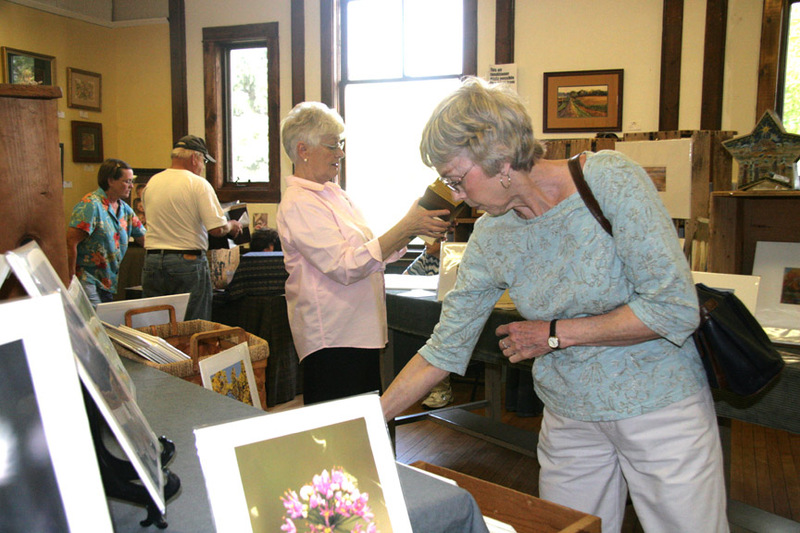 You’ll view a broad range of arts from photography, watercolor paintings, pottery, quilting, folk art dolls, rosemaling and more during this self-guided tour. Visitors will experience the arts, history and culture in and around Ortonville, Appleton, Madison, Milan, Dawson, Montevideo and Granite Falls. It’s land I know, because I grew up in Redwood County, a bit to the south and east. This is a place of big skies and open spaces and, in those areas where the Minnesota River twists through the land, an especially beautiful landscape in the fall. With trees changing colors and corn and soybean fields ripening to the shades of harvest, plenty of scenic vistas abound. Artists will welcome visitors to locales like Moonstone Farm, the Milan Village Arts School and Java River Café. Those folksy names speak to the rural nature of this place. Meander hours are 2 p.m. – 6 p.m. Friday, 9 a.m. – 6 p.m. Saturday and 9 a.m. – 4 p.m. Sunday. Special musical events are planned from 6 p.m. – 10 p.m. on Friday in Milan and beginning at 7:30 p.m. Saturday in Dawson. For more information, including a downloadable brochure, go to www.artsmeander.com Or call 1-866-866-5432. Special thanks to the Prairie Waters Convention and Visitors Bureau (www.prairiewaters.com) for sharing the above photos with the readers of Minnesota Prairie Roots. Gene Tokheim displays a piece of stoneware. Photo courtesy of Minnesota Office of Tourism. Shoppers admire artwork on display in the tiny town of Milan. Photo by Kristi Link Fernholz. YOU WOULD THINK THAT, having grown up only 1 ½ hours west of Mankato, I would have read the Betsy-Tacy books as a child. 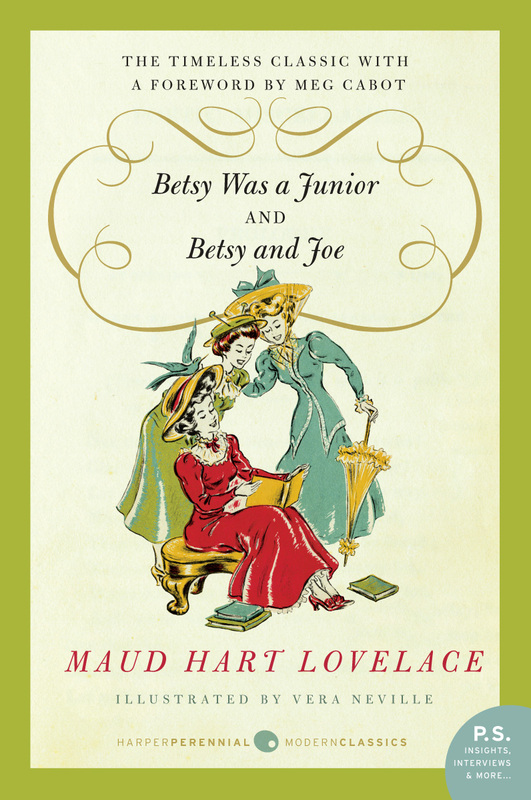 But the fact is, I never heard of Mankato author Maud Hart Lovelace’s books until I had children of my own. Perhaps it’s because I lived in Laura Ingalls Wilder country that I knew nothing about these delightful books of historical fiction. And without a library in town, I relied on teachers to shape my literary world. Either they never knew of the Betsy-Tacy books, or they chose to focus instead on Wilder’s Little House series, which I truly love. 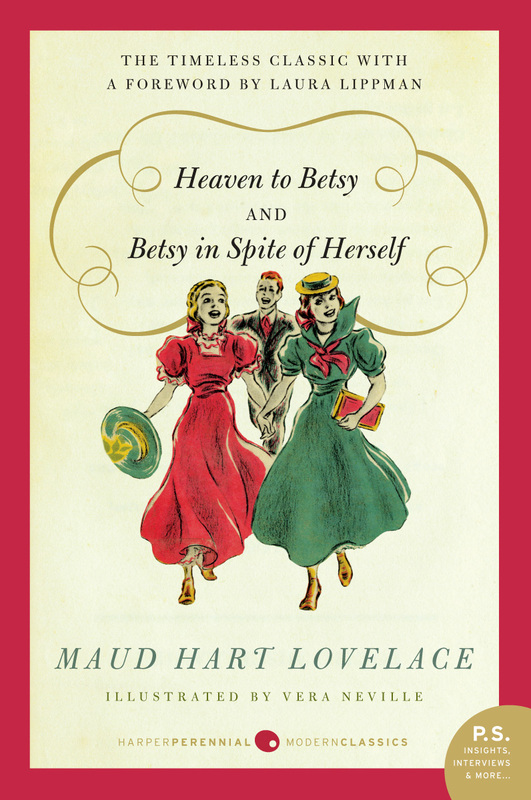 But I also love the Betsy-Tacy books that follow main character Betsy Ray from age five into childhood and marriage. The stories take place in Deep Valley (Mankato), are set at the turn of the century and are based on Lovelace’s life. I first read the books to my daughters 17 years ago, when they were six and four. I remember snuggling on the couch, my girls leaning into my shoulders, as I read the mischievous adventures of Betsy and her friends, Tacy and Tib. Oh, how we laughed at the trio mixing together Everything Pudding with ingredients like bacon grease, vinegar, onions, sugar, raisins and red pepper. The “yuck” factor endeared that story to us. The artwork of Lois Lenski (in the first four books) helped us visualize Betsy, Tacy and Tib, who could have been my daughters’ friends—playing house, going for walks, cutting each other’s hair, mucking in the mud. These fictional friends became so dear to us that we soon nicknamed my youngest daughter Tib. Like Tib, Miranda had curly blonde hair and maybe a bit of naughtiness in her. To this day, we still fondly call her Tib on occasion. And then when my son, Caleb, was born years later, we started occasionally calling him Cab, after Cab Edwards, Betsy’s friend in the book series. With all of that background, you’ll understand why I’m excited about the recent re-issuance of the six high school books (in the 13-book series) as Harper Perennial Modern Classics. The “new” books go on sale today. 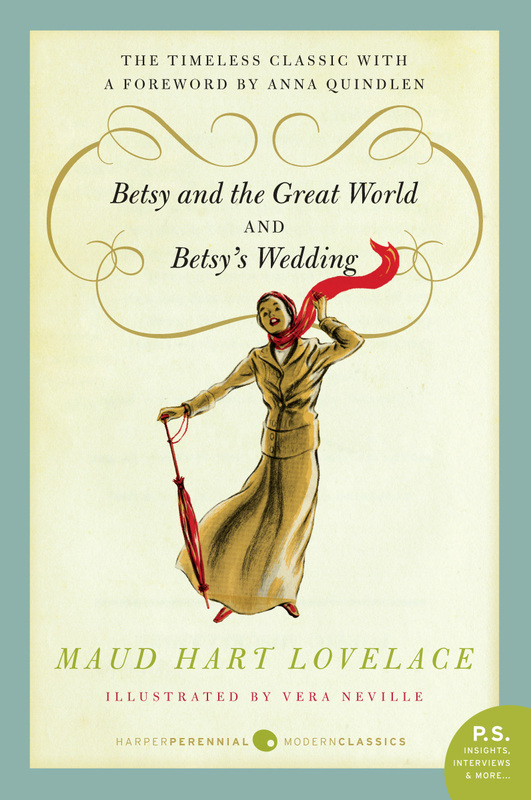 And on Saturday, the Mankato-based Betsy-Tacy Society is celebrating with a book release party from 1 p.m. – 3 p.m. at the Betsy-Tacy houses, 332 and 333 Center Street in Mankato. The afternoon features reenactors, music and refreshments. And, of course, you can purchase Betsy-Tacy books. For more information, go oline to www.betsy-tacysociety.org. You may also wish to read a feature I wrote about the Modern Classics for the September/October issue of Midwest Mix Magazine. Go to www.midwestmixmagazine.com. Just one more bit of exciting news: Emily of Deep Valley and Carney’s House Party will also re-issue next summer as Harper Perennial Modern Classics. 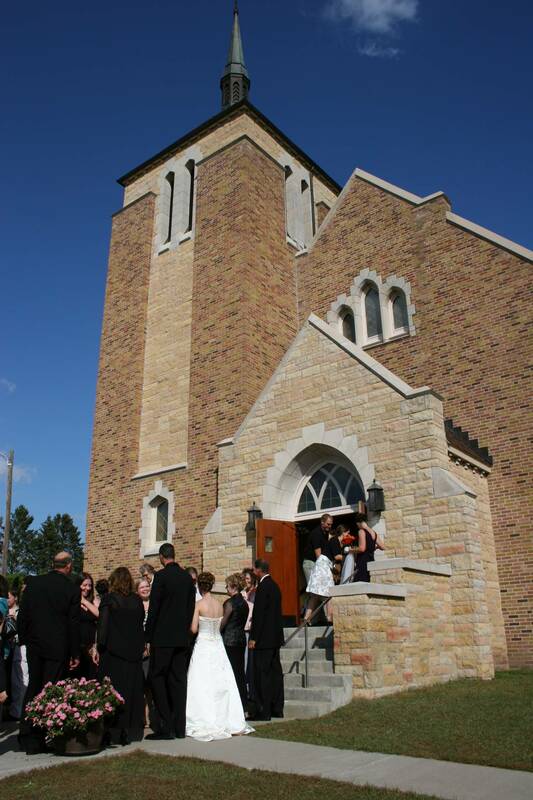 Newlyweds Kristina and Corey greet well wishers outside St. Elizabeth's Church in Brennyville. The beautiful bride, my niece Kristina. 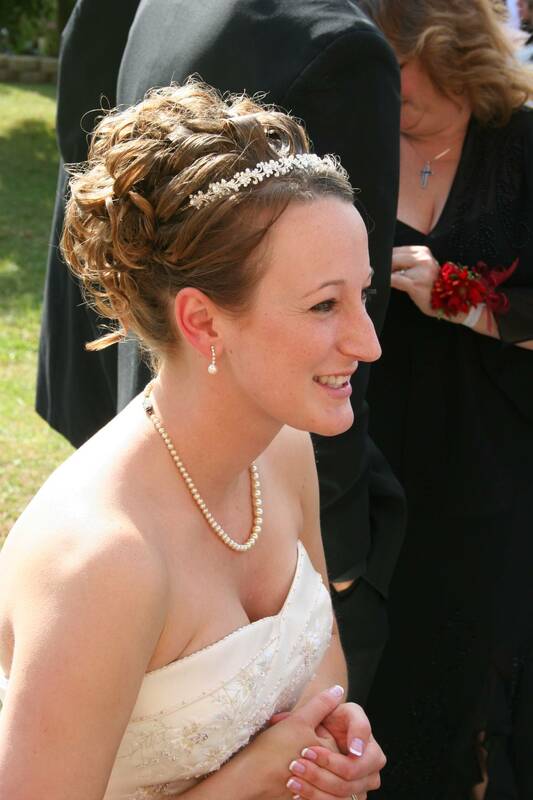 MY NIECE KRISTINA was married Saturday in Brennyville. A beautiful bride on a beautiful September day, marrying the love of her life, Corey. “If I speak in the tongues of men and of angels, but have not love, I am only a resounding gong or a clanging cymbal. If I have the gift of prophecy and can fathom all mysteries and all knowledge, and I have a faith that can move mountains, but have not love, I am nothing. If I give all I possess to the poor and surrender my body to the flames, but have not love, I gain nothing. To see such young love, like that which Kristina and Corey share, simply makes the heart sing with happiness. To celebrate their love as a member of their extended family simply reaffirms the importance of family in one’s life. What a joy for me to have been there, to have shared in their happiness, to have lifted my right hand in blessing upon them with a congregation of family and friends on their most blessed of days, their wedding day. 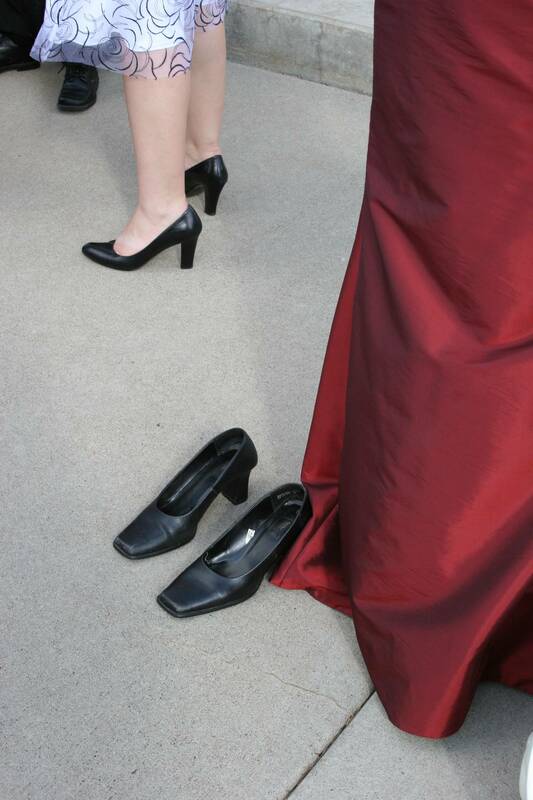 Guest shoes and bridesmaid shoes. 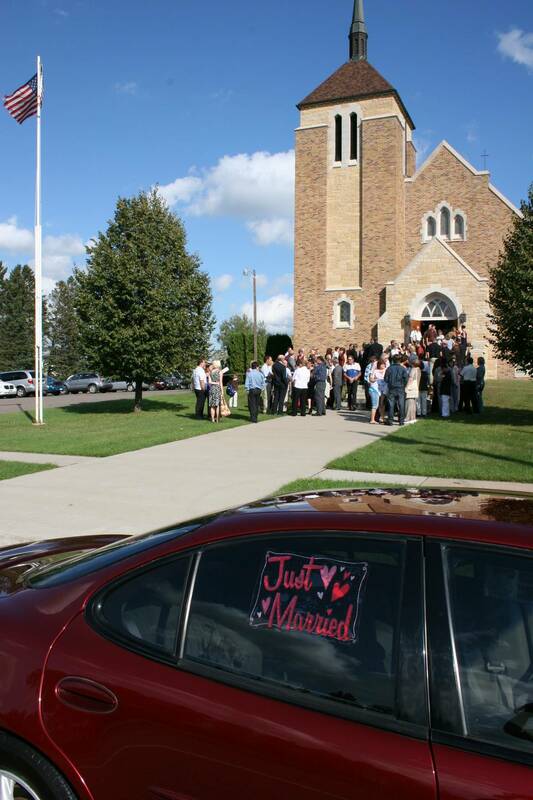 The bridal couple's car outside St. Elizabeth's Church. 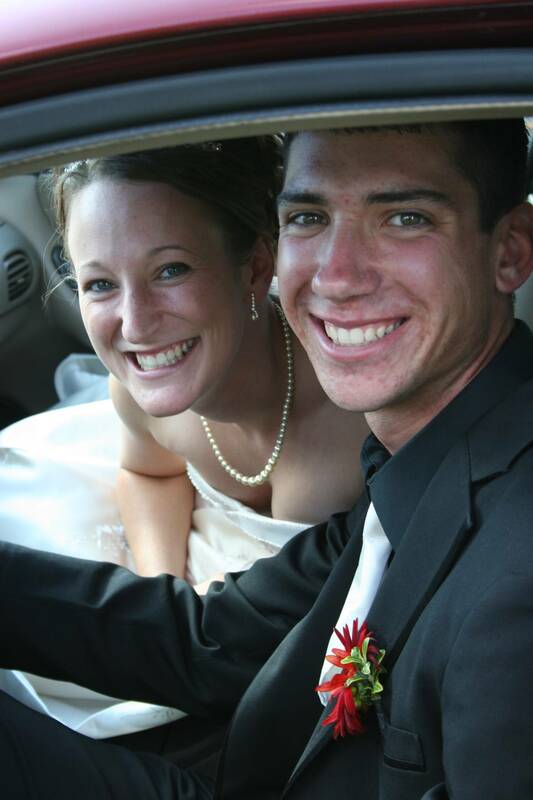 Kristina and Corey, just married and leaving for their reception at Jack and Jim's Event Center in Duelm. Corey carries his bride into the wedding reception. 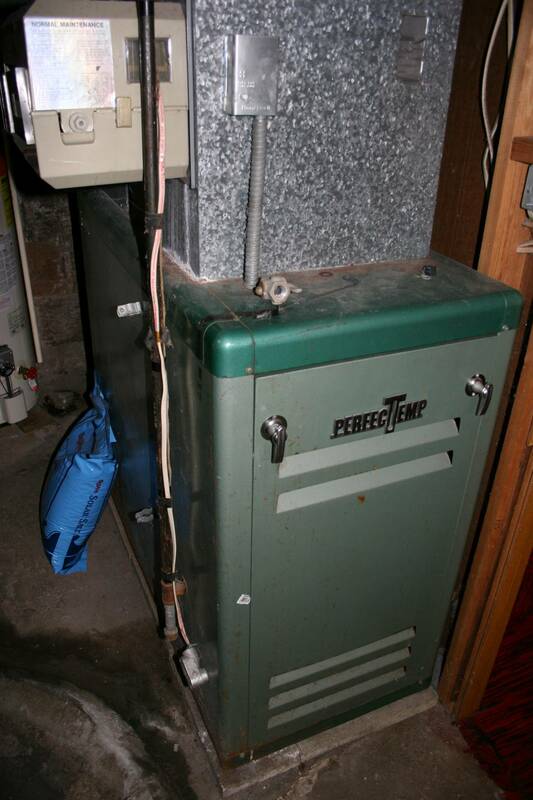 Our old PerfecTemp furnace works fine (we think), but it's, oh, so energy inefficient and probably not safe. ENOUGH ALREADY, I nearly want to scream. For several weeks now, my husband and I have been discussing the purchase of a new home heating and cooling system. This has involved research, asking family and friends for opinions, meeting with “furnace guys,” discussing choices and more. And just when I thought we had it all figured out, I had to go and ask more questions: Does your bid include a programmable thermostat? What about the permanent air filter? You didn’t tell us about that. So now I have more options to consider: Do I like filter A, filter B or filter C? It was easy to eliminate filter A, the permanent, washable filter, after the furnace guy told me he throws them away. After seeing the flimsy filter, I agreed with his decision. That leaves a regular small-pleated filter and a pleated filter so big it could be Paul Bunyan’s accordion. The larger filter fits a whole-home filtration system and must be replaced once a year at a cost of about $40. The filtration system, I’m told, will keep most of the junk (a.k.a. mold, dust, allergens, etc.) out of the air. But I wonder, does this system really work, or is it hype? And then the furnace man throws me another option. Seems we can get a more energy efficient air conditioner for an additional $274. Because the Xcel Energy rebate is higher, $330 instead of $180, the unit will, in reality cost us only $125 more than the less efficient model we had already decided on. See why my head is spinning. Then he hands me a brochure about duct cleaning. We had discussed this earlier and I’m still researching the topic. But I know better. Our furnace is vintage 1960s and is 60 percent or less energy efficient, or more accurately, it’s quite energy inefficient. When one of the furnace guys looked at the aging furnace and asked whether we have a carbon monoxide detector, well, that clinched it. If you have any advice regarding heating and cooling systems, whole-house filtration systems and/or duct cleaning, I’m listening. 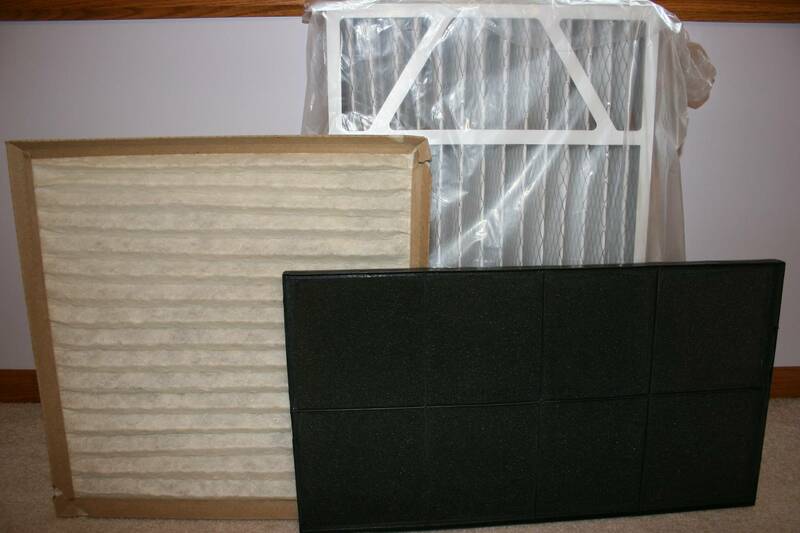 Which air filter would you choose? 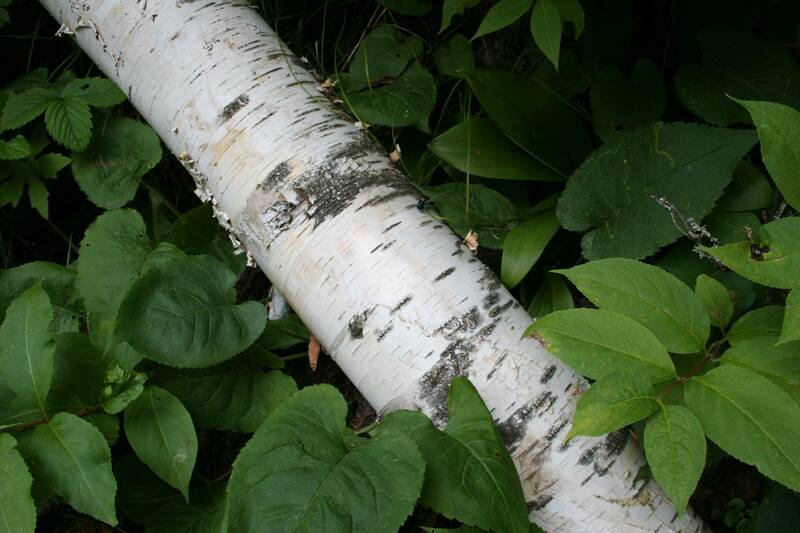 The White Birch Artists are kicking off Art Leap 2009 with a reception from 3 p.m. - 6 p.m. Friday, Sept. 25, at the Park Rapids Area Library. 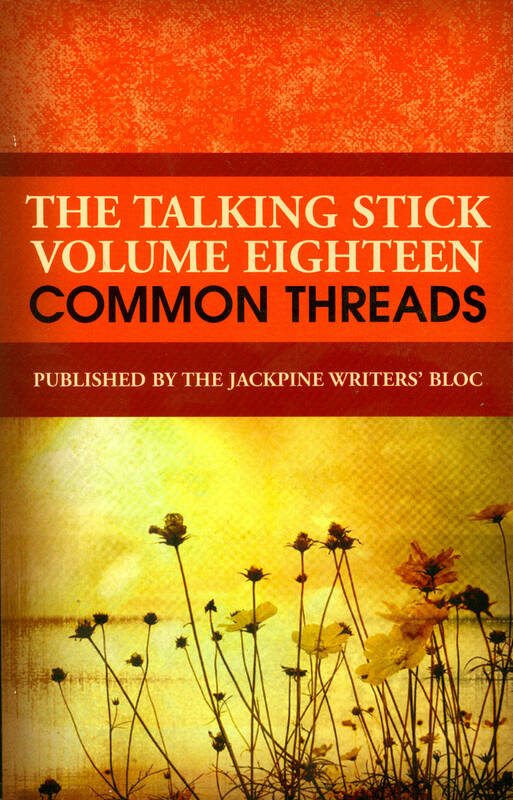 Talking Stick, Volume 18, Common Threads, officially releases at a weekend party. IF I DIDN’T ALREADY have a jam-packed weekend and I lived closer to the Park Rapids area, I would certainly consider heading north this weekend for Art Leap 2009, a driving tour of artists’ studios and other cultural destinations. That’s according to info I gleaned from www.parkrapids.com, where you can find details about the Sept. 26 – 27 event. 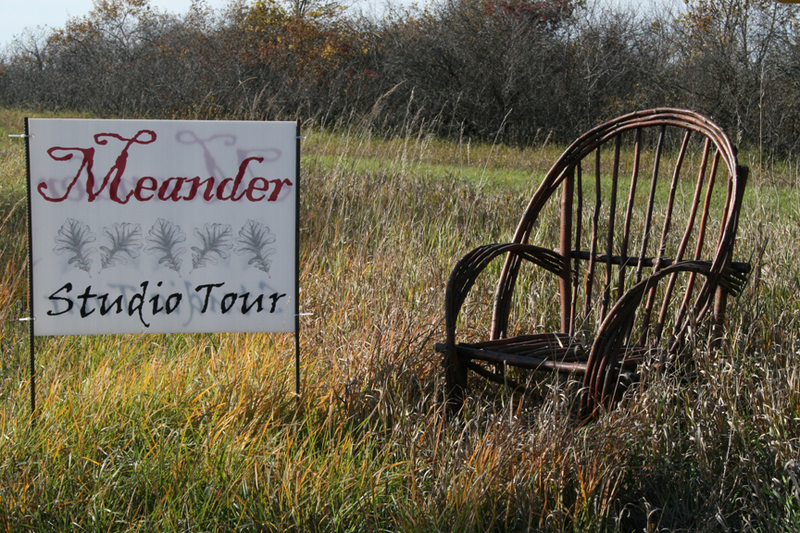 Unless otherwise noted, hours are 11 a.m. – 5 p.m. Bemidji artist Al Belleveau tipped me off today to this arts tour. Bemidji has a First City of Arts: Studio Cruise set for Oct. 16 – 18. Autumn arts tours seem to be growing in popularity in Minnesota. We have one coming up in the Faribault area (Southcentral Minnesota Studio Art Tour, Oct. 24 – 25) and there’s one in southwestern Minnesota (Meander, Upper Minnesota River Art Crawl, Oct. 2 – 4). And that’s a good thing. What a perfect mix—driving through our beautiful state to view the fall colors and stopping along the way to visit with artists or take in a performance. 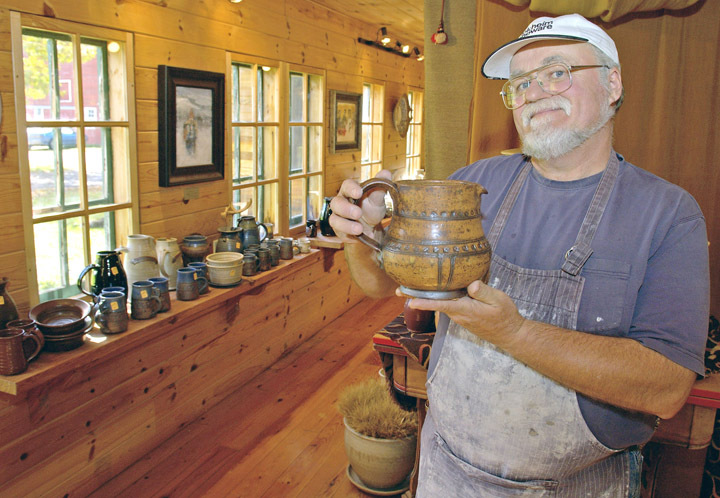 The Park Rapids Area Arts Council is sponsoring Art Leap 2009, a tour that leads visitors to places like Menahga, Forestedge Winery & Gallery, Stoney Lake, Nevis, the Long Lake Theater, Park Rapids and Strawberry Lake Corner. I love the folksy sound of that name, Strawberry Lake Corner. No matter your artistic bend, you’re sure to find a medium of interest, like woodcuts, pottery, stoneware, weaving, jewelry, batik, photography and much more, not to mention live theatrical and musical performances and poetry readings. The Jackpine Writers’ Bloc is also hosting a book release party on Saturday, Sept. 26, in Park Rapids for The Talking Stick, Volume Eighteen, Common Threads. This literary journal features a collection of poetry, fiction and creative nonfiction from some of Minnesota’s most gifted writers. I haven’t read volume 18 yet, but volume 17 has made me a fan of this outstanding anthology. Check it out at www.thetalkingstick.com or www.jackpinewriters.com. That said, if you’re free this weekend, head to the Park Rapids area for a little culture. 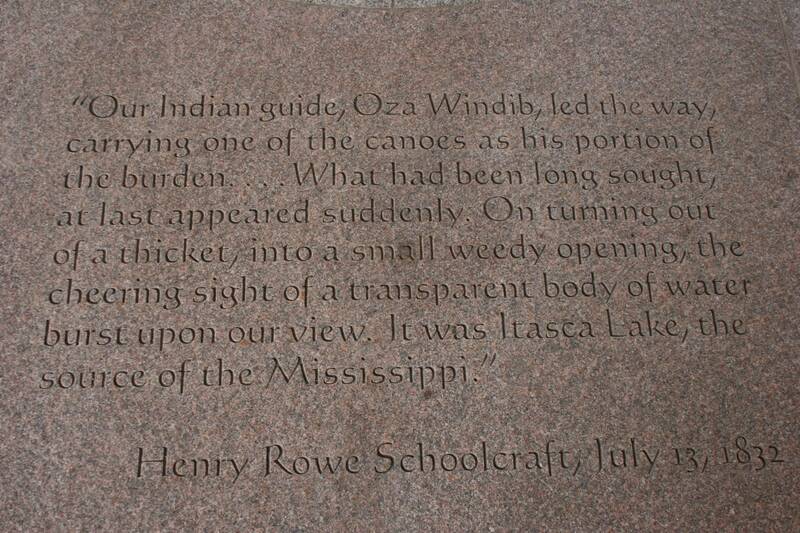 Henry Schoolcraft's poetic words in stone at the Itasca State Park interpretative center. Click on the photo to enlarge. The Mary Gibbs Mississippi Headwaters Center is on this weekend's Art Leap 2009 tour. 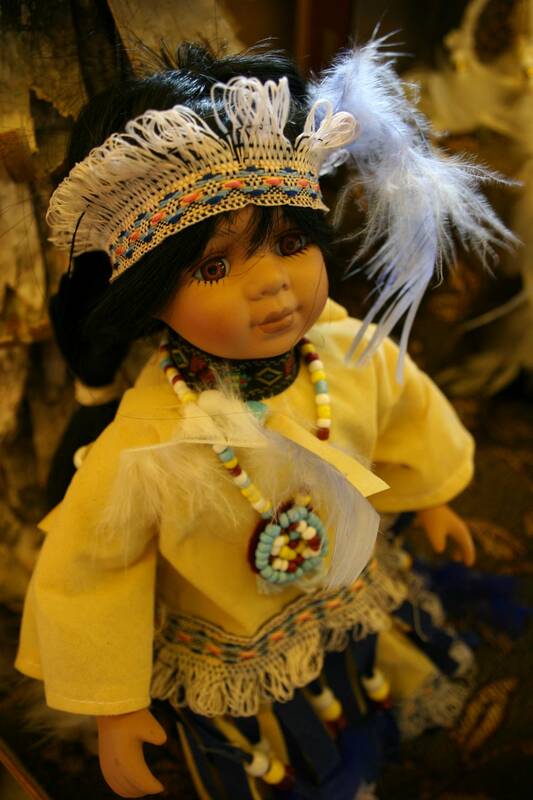 A Native American doll for sale at the Itasca State Park gift shop. Native American crafts, foods and more are featured in the Art Leap 2009 tour and can be seen at Strawberry Lake Corner this weekend. 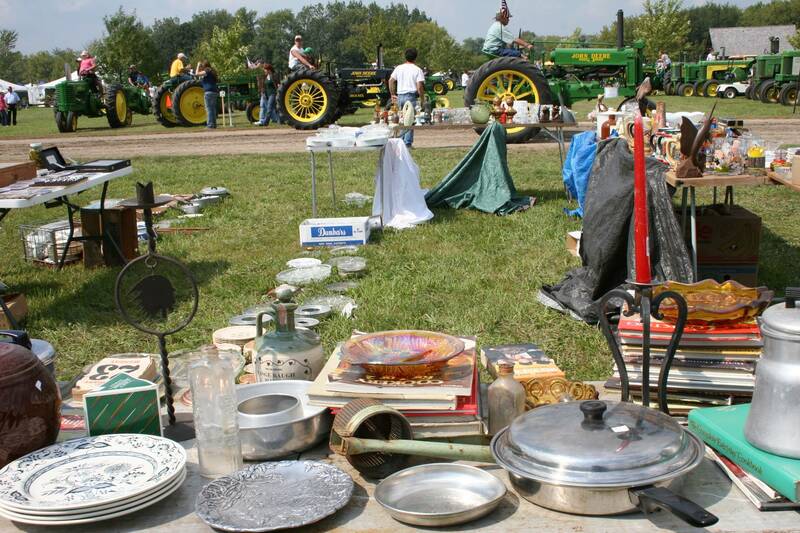 Merchandise at the Rice County Steam and Gas Engines Show flea market awaits shoppers. SOME PEOPLE LIKE THEM. Others hate them. 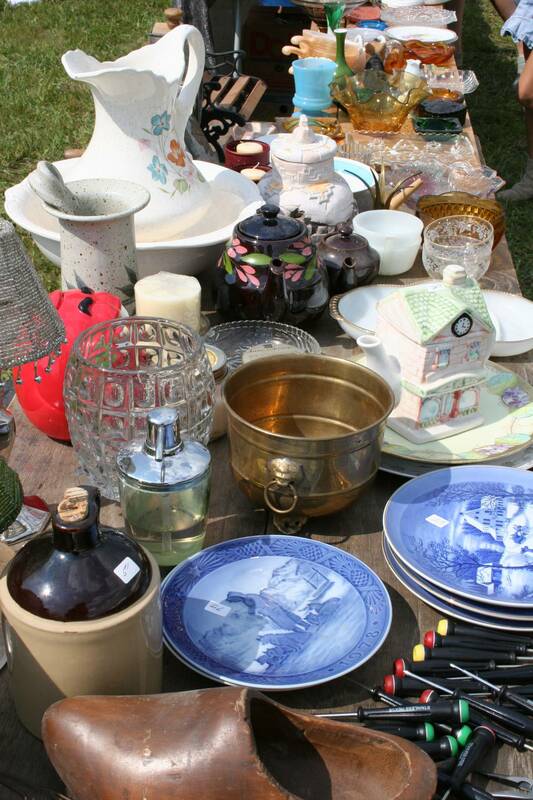 But I am among those who enjoy shopping at garage, rummage and yard sales and the occasional flea market. Actually, I’ve been shopping like this for nearly 25 years, out of necessity at first, to buy baby stuff and later clothes for my growing kids. Now I shop such sales for enjoyment and the thrill of the hunt. It’s also currently vogue to recycle and reuse as part of the going green fad. And to think that I am actually, for once, part of a trend rather than lagging years behind is truly remarkable. Typically I could care less about the latest whatever. That said, just look at the items I found (with my camera lens at least) at the Rice County Steam and Gas Engines, Inc. show near Dundas a few weeks ago. 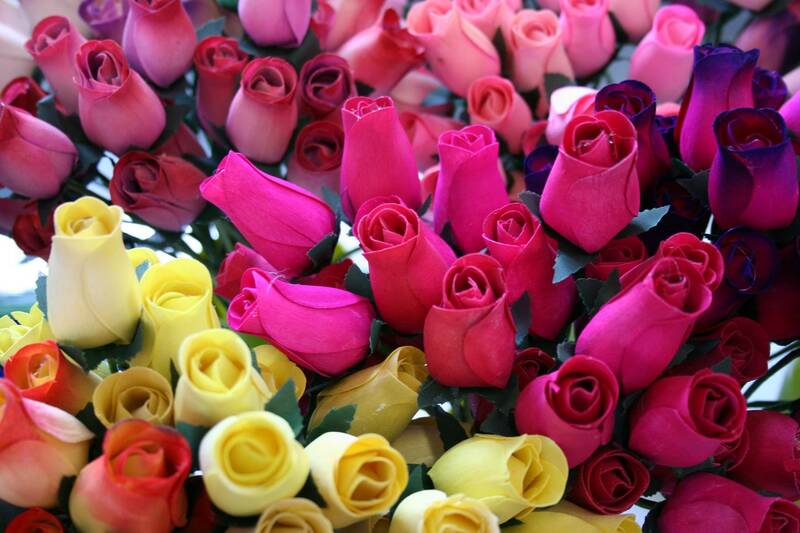 Not real roses, but fake roses from China. Some call it "junk." I prefer the word "treasures" for flea market finds. 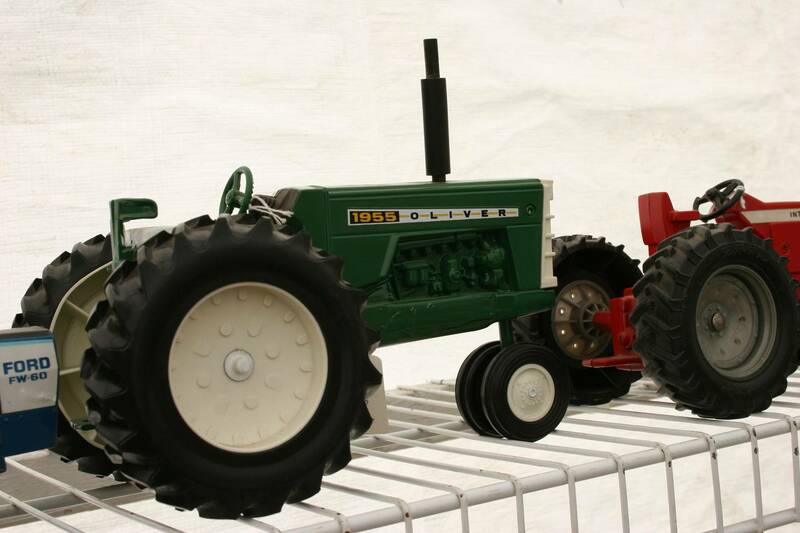 Fitting with the day's theme, toy tractors were available for purchase. A perfect gift for a would-be farmer. 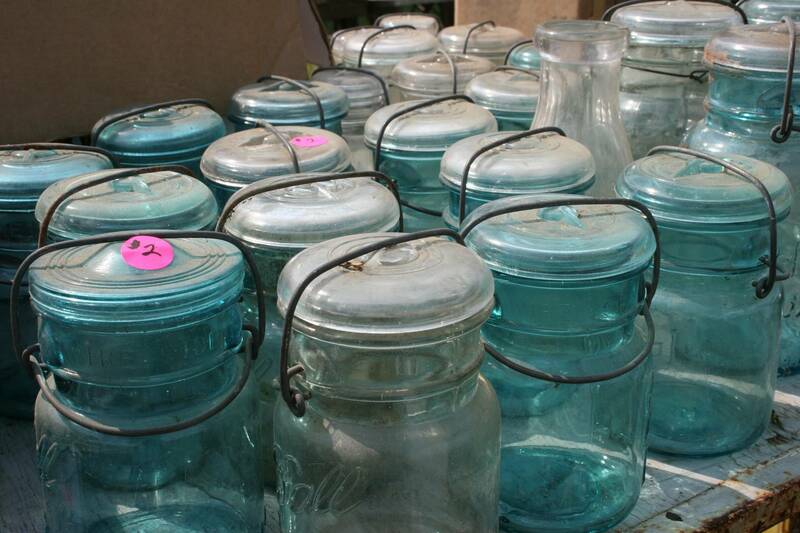 In hindsight, I should have purchased some of these beautiful old jars for my kitchen. 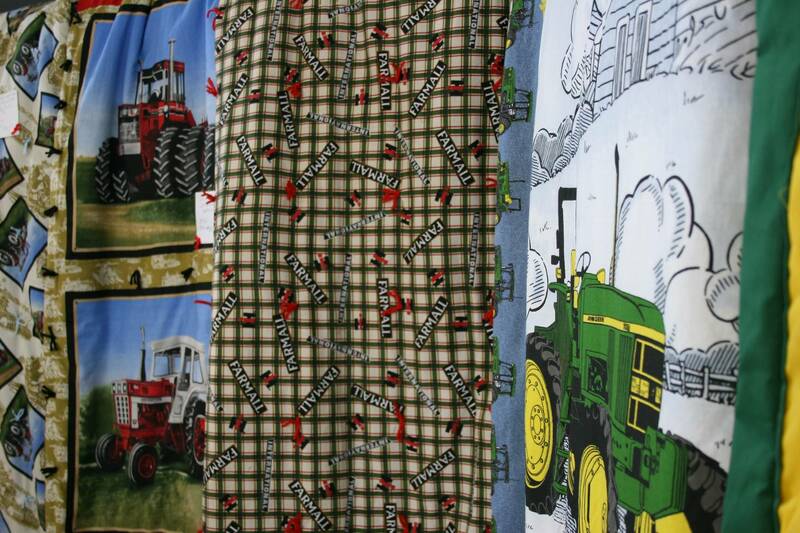 Even the tractor quilts featured recycled batting, according to the woman who sewed them. For more information about Rice County Steam and Gas Engines, Inc., go to www.ricecountysteamandgas.com.